As the MotoGP season kicks off this weekend in Qatar, Motorsport.com's panel of two-wheeled experts answer the big questions and predict how the championship table will look by the end of the year. Can anyone stop Lorenzo taking a fourth title? 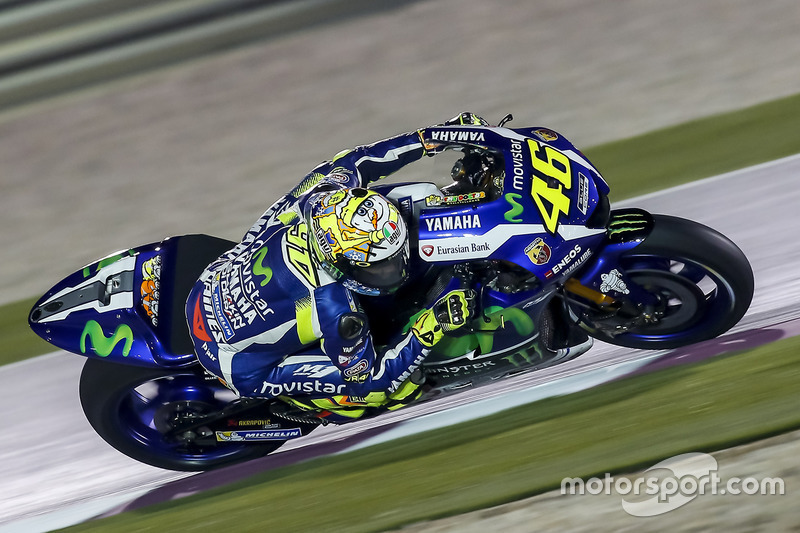 CB: As Valentino Rossi proved last year, there’s life in the old GOAT yet. Two things need to happen if Rossi is going to deliver that 10th world title: he must defy the onset of time and ride to the peak of his abilities again, and he needs to rattle Lorenzo and get under his skin somehow. We know Lorenzo’s Achilles' heel can be his suspect mentality. Rossi is 37, not 67, and proved time and again last year that he has the race pace to live with the other ‘aliens’. But his single-lap pace is what was lacking, and this still appears to be the case on Michelins. OP: The only one strong enough is Marquez, but he needs a sweeter bike than this Honda. JK: In a word – no. 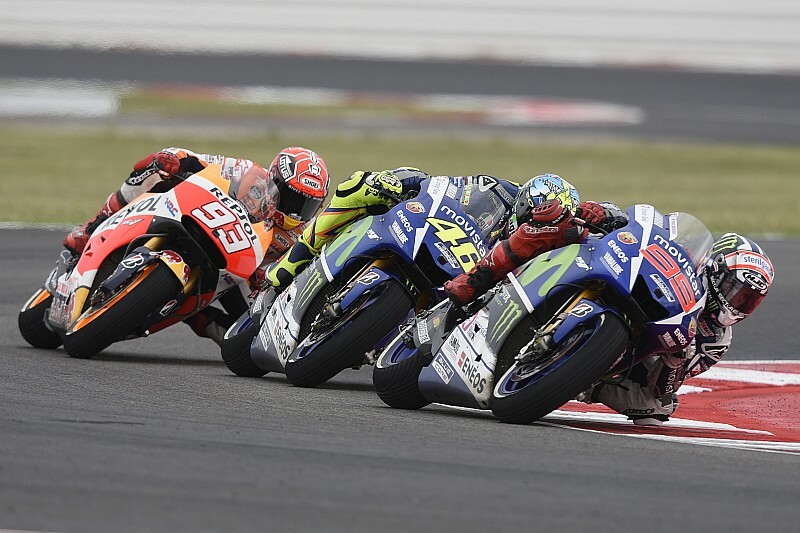 The Spaniard has once again looked imperious in testing, and a switch to Michelin tyres looks to have suited him far better than traditional main rivals Marquez and Rossi, both of whom heavily relied on the Bridgestone front and will take time to fully adjust. Rossi will be hoping Lorenzo’s campaign gets off to another inconsistent start, and use that to pile on the pressure mentally, while Marquez is relying on Honda being able to turn around its fortunes after another troubled winter. LB: Rossi is so disappointed from last year's events that he clearly has revenge to take. 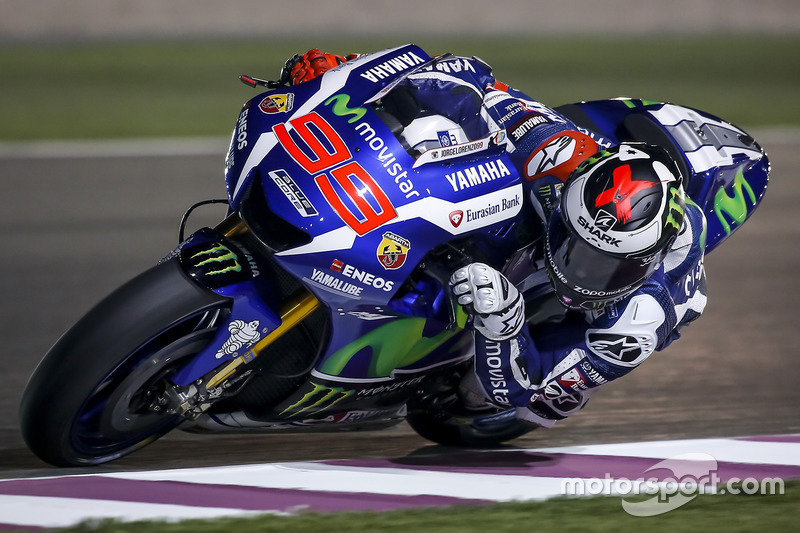 Given also the level of the Yamaha, Lorenzo's main opponent could simply come from his own team. MN: From what he demonstrated during the winter, the reigning world champion seems again to be the odds-on favourite. Yamaha has adapted quickest to the Michelin tyres and standard electronics, so at the moment perhaps Rossi has the best chance of stopping Lorenzo, even if the Spaniard looks to have a good margin. TB: Given the test results, one would have to say no. But this time last year, everyone thought Marquez would dominate and no one could stop him. So the great thing is: you never know! Will Honda solve its issues quickly enough to be a factor? CB: It must be a worry when you change fundamentals like tyre manufacturer and electronics and you still get the same dodgy mid-corner handling. Marquez says he can brake as late as ever on the Michelins, but his mid-corner to exit phase is still a big problem. He fell off enough times last year to be hugely wary of the Honda’s front-end, and there’s simply no way to ride around it. He made progress on the final day at Qatar, so you can never rule him out. OP: Honda has the power to react, but they have to do so fast or Yamaha will be too far ahead. JK: Marquez claimed Honda stumbled across some sort of miracle solution on the final day of Qatar, but we’ll only find out this weekend how effective that truly is. But if he and Pedrosa are forced to fight the Ducatis, Suzukis and top satellite riders in the early rounds, while the Yamaha men get off to a flying start, it could put paid to their championship ambitions. LB: Instead of giving answers, the winter tests seem to have created more uncertainty than ever for Honda. The team can still fix its problems, but if Marquez and Pedrosa lose too many points before the start of the European season, it bodes ill for their final championship placing. 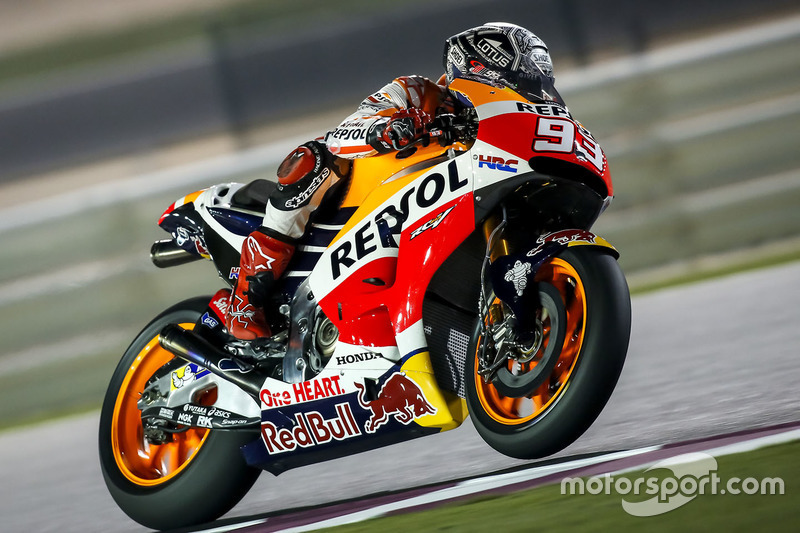 MN: In the final day of Qatar testing, Marquez said he had found the right path with the RC213V. We'll have to wait and see if it's true, but let's hope so, because MotoGP needs the Spaniard fighting at the top. 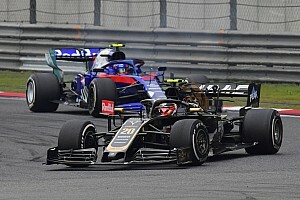 TB: Honda is the biggest company in this playground, with the biggest resources. Marquez has grown as well - if he takes points where he would have crashed last year, one could call the problems solved. What threat can Ducati and Suzuki pose to the 'big two'? CB: Suzuki’s Maverick Vinales has been rapid across the pre-season tests, and seems to have made that personal step we all knew he was capable of. In Ducati-land, the Andreas Dovizioso and Iannone have been upstaged slightly by Pramac’s Scott Redding, who’s shown a fleet turn of speed. It’s about time the works Dukes took the fight consistently to the all-conquering Japanese machines – Iannone in particular looks on the verge of a maiden win. OP: Both Ducati and Suzuki have been very fast during winter, but I don’t think they will be consistent enough to be fighting at the front all the time. JK: Ducati deserves credit for the step forward it made last year despite the delays with the GP15, so on paper this year it should be even closer after a much smoother winter – to the extent that now, perhaps its riders are the limiting factor. No such issues at Suzuki, whose wonderkid Maverick Vinales is surely making his first trip to the rostrum very soon – and on recent form, you wouldn’t rule out a maiden win this year. LB: The two manufacturers have had a very different winter. 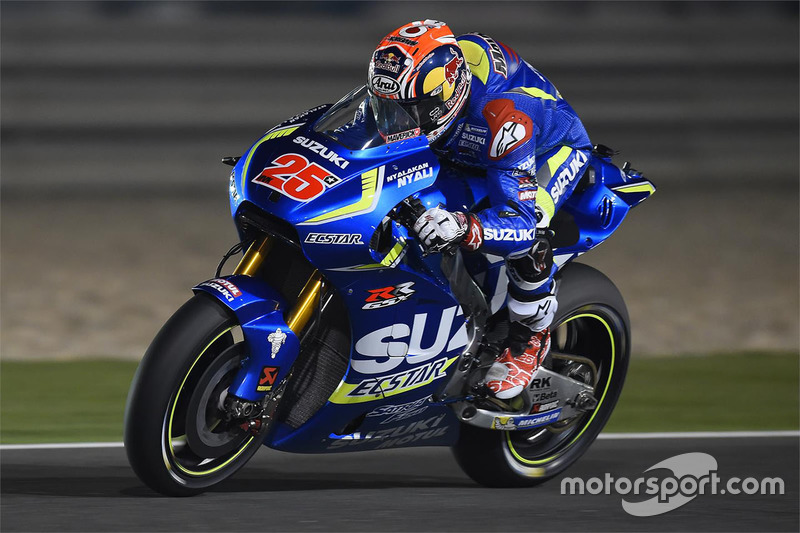 Suzuki showed their ambitions just as Vinales did when churning out the fast laps. Meanwhile, Ducati worked on accumulating mileage and fine-tuning the performance of their machine over long runs, knowing this is what counts in the race. MN: Suzuki and Vinales were the big revelation of the winter, and it would be great to see a new contender at the top confirmed in the early races. At Ducati, the Desmosedici GP has not shown its true potential over a single lap, but the race simulation of Dovizioso was very close to that of Lorenzo. Don't underestimate the Italian marque. TB: Pramac can go for the Qatar podium – as they have the bikes that stood up there last year. The new GP16 seems to struggle a bit. Suzuki will be strong in the hands of Vinales – in fact, I bet five bucks on a Vinales win at Qatar with my mates. It’s risky, but he’s a guy of the future. Can any satellite teams spring a surprise? CB: Tech 3 and LCR should be the leading lights for Yamaha and Honda respectively, but it’s been the satellite Ducati squad that perhaps has been the most impressive. 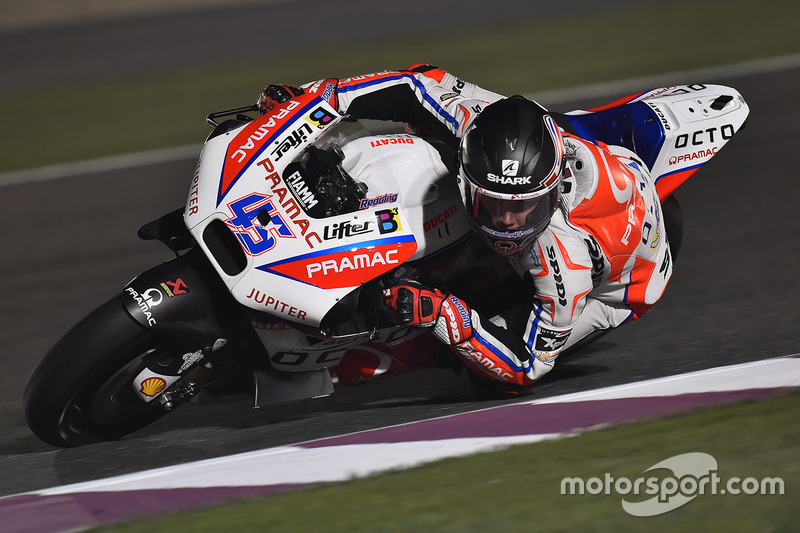 Scott Redding’s Pramac-run 2015 Ducati was right at the sharp end of the times in Qatar, and you feel this is a make-or-break season for him now he knows the MotoGP ropes. OP: Yes, especially the Pramac Ducati team at the beginning of the season. JK: The satellite squad most likely to benefit from early-season uncertainty has to be Pramac, whose Ducati GP15s have looked quick enough in testing to challenge for top six results – especially in the hands of Scott Redding. Avintia is another team heading to Qatar in good shape, so Hector Barbera will be another one to keep an eye on. LB: This is the main effect of the unified electronics: the gap has been reduced between the official and satellite teams. Some of them have the potential to take advantage, especially Tech 3 Yamaha, but also Pramac and Avintia, who both have the Ducati (although two different models). The winter has been more complicated for LCR, but Honda's own problems are largely to blame. MN: The transition from Open electronics to unified software seems to have greatly benefitted Hector Barbera, who has often been near the top with the Avintia Ducati in testing. Scott Redding also seems at ease on the Pramac GP15. A shame for the injured Danilo Petrucci, the star of the first test. TB: Pramac - the GP15 is a proven podium contender and Redding and Petrucci showed strong in testing. It’s up to the riders at the moment. I see Tech 3 and LCR struggling. Will Rossi stay or go? Any other big rider market moves? CB: I think Rossi’s next move will very much depend on how he starts the season, and how the next phase of his relationship with Lorenzo and Marquez plays out. Lorenzo to Ducati? Well, that would take a lot of Euros to counter Yamaha’s Yen. And a rise in form by the Italian squad. OP: I think Rossi will renew his contract with Yamaha, probably for two more years. He knows that there is no better bike, and the team wants to keep him aboard for his marketing impact. JK: It’s a tricky one. Were Rossi to have to decide right now, I’m sure he’d opt to stay, but that could all change if he gets off to a bad start to this season - another two years is a big commitment, and he needs to be sure he can fight for victory. As for Lorenzo and Marquez, it’s hard to see either moving on just yet, but Vinales has to be considered first in line for any vacancies either at Honda or Yamaha, should either Rossi hang up his leathers or Honda run out patience with Pedrosa. LB: Yamaha will be at the centre of the rider market. If Lorenzo manages to quickly get a renewal of his contract, Rossi will logically be tempted to leave. Instead, if Rossi gets a new contract before Lorenzo, then the Spaniard will surely go and seek his luck elsewhere. What if Vinales grabbed hold of this chance to get the best seat in the championship? MN: The agreement between Yamaha and the VR46 Riders Academy seems to be a prelude to a renewal for Rossi. Maybe the only mover will be Lorenzo, but at the moment it's hard to see what could make him leave for Ducati, given the Yamaha is still the best bike in the field. TB: I don't expect Rossi to have another strong showing like last year, and if this is the case he will have deep thoughts. I also expect movement at Tech 3, as Smith and Espargaro know it could be their last season there. Everything else will depend on Rossi's decision. Lorenzo to Ducati would be great to get some fresh air in the paddock, but I can’t see it happening. 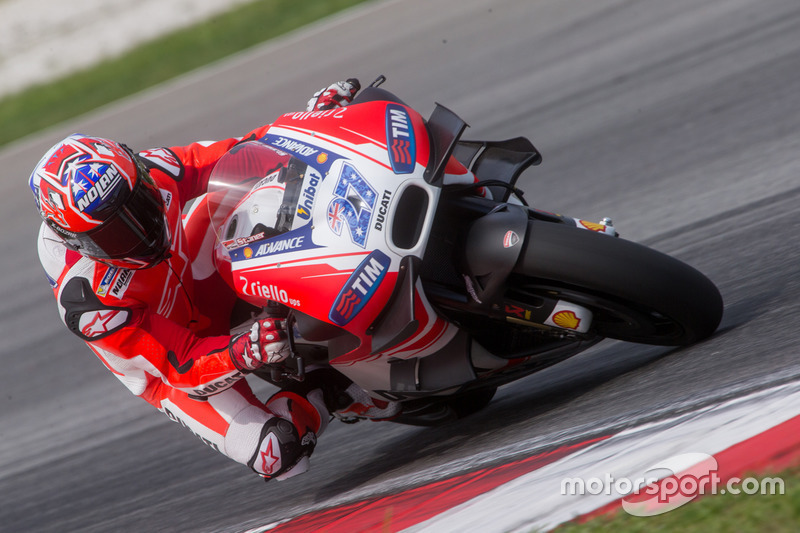 Will Casey Stoner be tempted into a making a wildcard? CB: I’d be as keen to see Stoner back on a Ducati as much as anything this year. It would be amazing to see another ‘alien’ – as Colin Edwards calls them – back in the series. He’s never struck me as the kind of character who can stay away for too long, no matter how ‘retired’ he currently might be. OP: Ducati is probably more interested than him on that front. Stoner is super-fast, but he would need to prepare for a full race weekend. JK: As much as he says otherwise, I can’t help but feel we’ll see him make a one-off at Phillip Island – and put the two Andreas to shame in the process. MN: Casey denies it, but he seems to again have the desire to compete, and Gigi Dall'Igna can't wait to ask him to make a wild-card appearance. TB: In three words: I hope so.